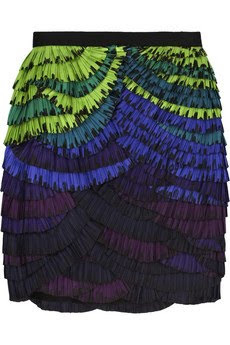 Diane Von Furstenberg Silk mini skirt is covered with Multicolored Ruffles. Find it at Net-a-Porter for about $475. This skirt is crazy..I LOVE IT!